Last week, Illinois became the last state in the country to pass a concealed weapons law, and soon private citizens will be allowed to carry guns. That means landlords have to make a decision whether to allow weapons inside their rental properties. Considerations include tenant safety, liability for injuries or crime, changes to insurance coverage, the overall appeal of a property, and the difficulty of enforcing a ban on guns. Rental property owners, along with other businesses, generally do have a right to ban weapons in their properties. 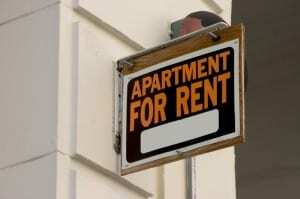 However, to exercise that right, a landlord may have to post signs or provide other notice, and most likely will need to include a ban in the lease agreement. For current tenants, a new policy will probably have to wait until renewal time. The Illinois measure was pushed through over the objections of the Governor, who wanted limits on how many guns an individual could carry on their person, as well as a ban on guns in bars and restaurants that serve liquor. Ultimately, those concerns were overruled. The state’s ban on concealed weapons was overturned by an appeals court. Proponents of the new law argued that without it, there would be no regulation of concealed guns within the state, which has seen a significant surge in gun violence, including 60 shootings over the 4th of July weekend alone. Illinois State Police are tasked with doling out the permits, and expect to process as many as 300,000 applications when the rules are hammered out six months from now. That gives landlords in the state a little time to decide whether to regulate guns in rental properties. Illinois residents can apply for gun permits once they register, pass a background check, and pay a fee. Applicants also will need to attend 16 hours of gun-safety classes.